Did the little owl bookmark. Pictures later. I just am not in the mood yet. felicia was kind enough to hold it up for me today to get a good photo. 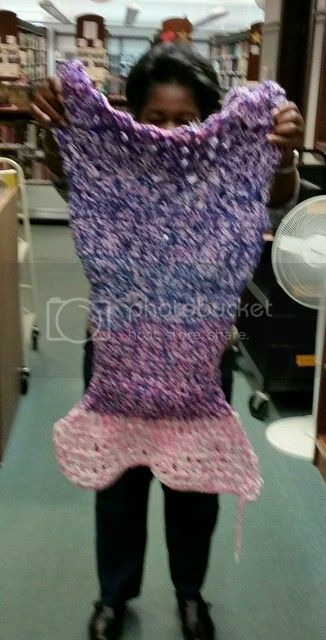 Zoe is going to love that mermaid tail! 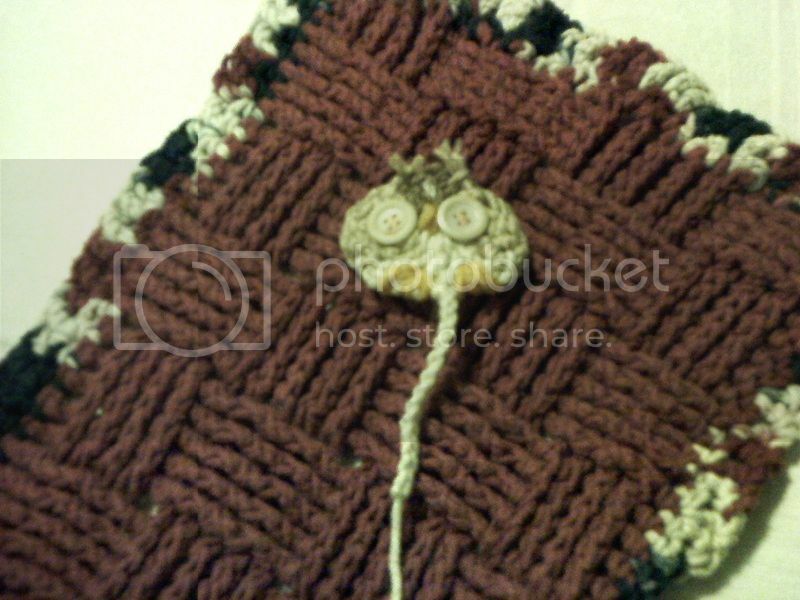 This is the little owl bookmark. I love it and it worked up in minutes. I like it tammy! I might have to copy that!! It would be great for the library. Enjoy! 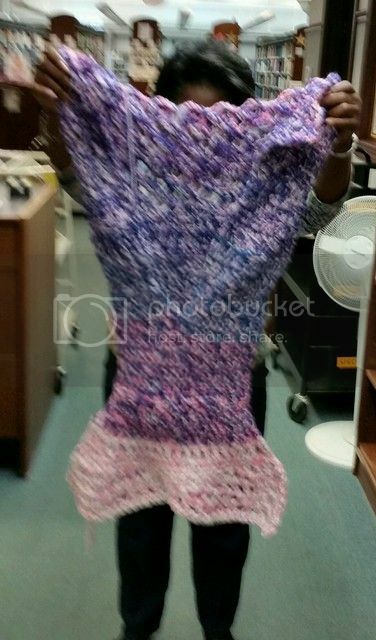 You have done enough crochet you can get through her directions I think. 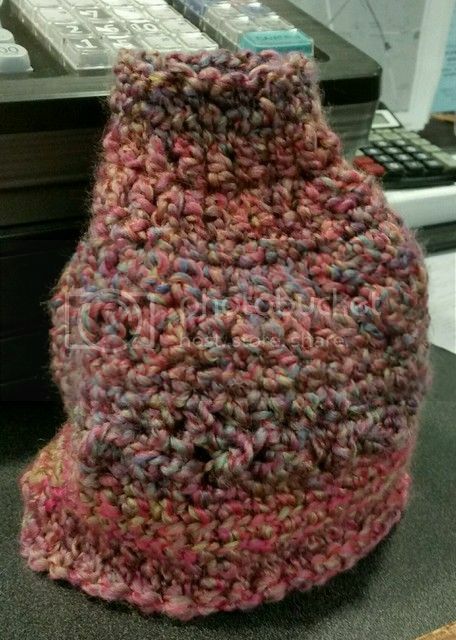 I used 3 different colors of yarns for the body and one more for the beak and toes. It is currently residing in the book I'm reading. This was going to be a sponge cover but I ran out of yarn so it is a soap boat. The ribbon was from the case the soap was in. Your welcome Jenn. I've already gotten a complement on it. It is a cute. And it takes no time at all to work up. i shared it at work. i'm going to suggest it would make a good teen program. 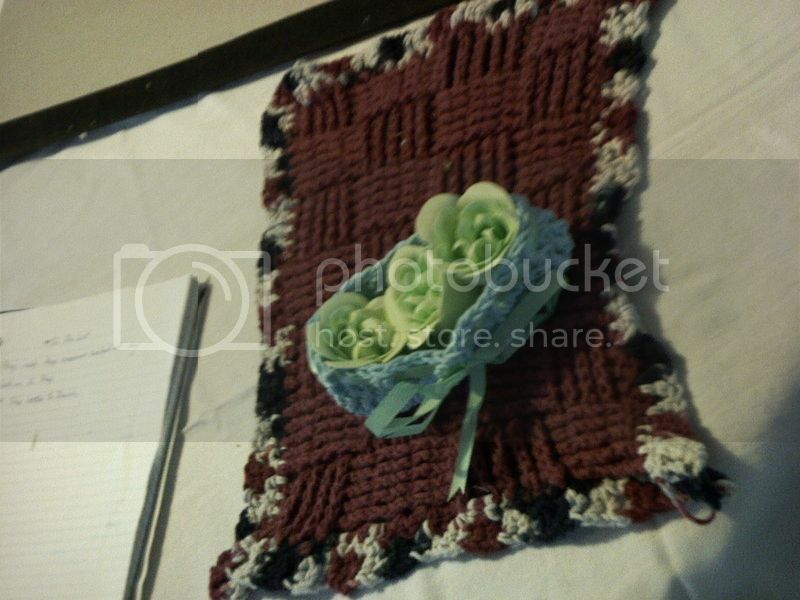 i'll "donate" crochet hooks for them to use, and i have a bunch of little balls of yarn. How cool! You are a wonder and the library is lucky to have you.